When a bird is alive.. It eats Ants. When the bird is dead..
Time & Circumstances can change at any time. 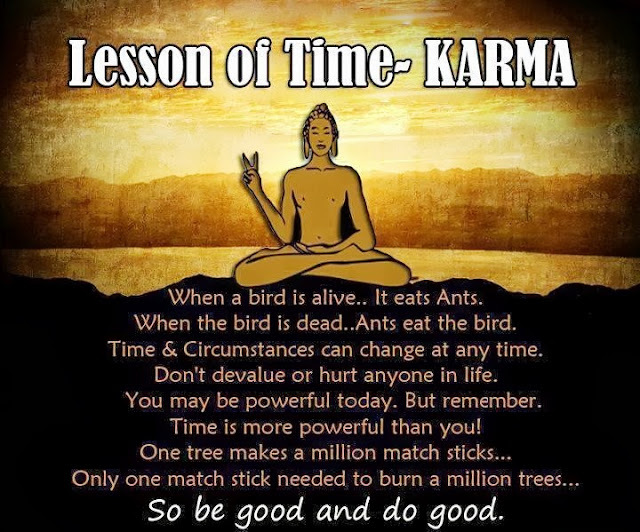 Don't devalue or hurt anyone in life. You may be powerful today. Time is more powerful than you! One tree makes a million match sticks.. So be good and do good.